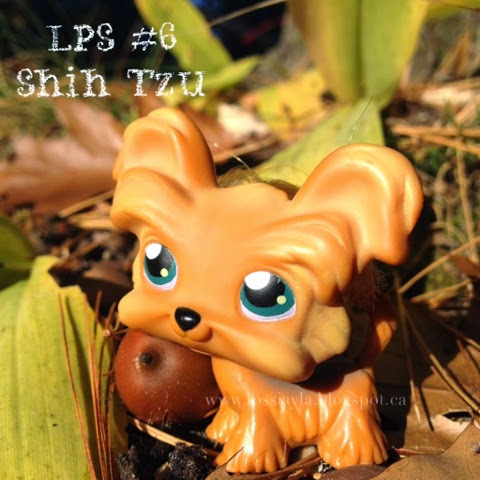 Littlest pet shop #6 is a little light brown Shih Tzu. She has some grey on her back and a real tuft of hair (sorry I didn't realize it was laying down so far in this picture). 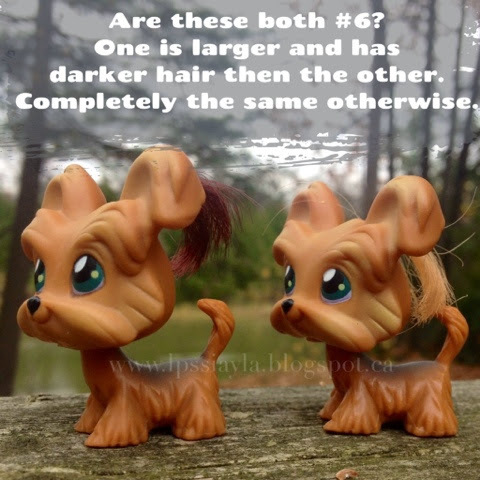 We have a second one that looks the same except his tuft of hair is darker and it is slightly bigger. I'm not sure if they are the same number or not and will have to do a little more research. The colours otherwise are the same and they both have pink magnets. Do you know if they are the same? Is the darker hair just a variation? We would love some info if you have any.